I hope that people viewing my work have trouble looking away from the painting. I want my images to be extremely bold and the colors lush and unexpected. The image should grab people from afar and draw them in. 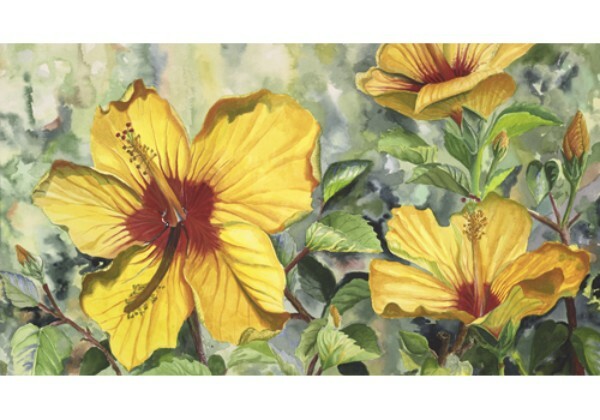 Many of my images create a push-pull relationship between foreground and background through the use of realistic believable flowers and the contrasting background where the use of wet-on-wet paint creates blurred organic shapes. More recently I have also been working on exploring the use of metal paints and adding acid washes to create a variety of patinas on works that are more abstract. I have found working with the elements of art and principles of design even more challenging and engaging than my more representational pieces. I enjoy bouncing between these two distinctly different styles! Andrea has exhibited her work with several galleries and art societies. 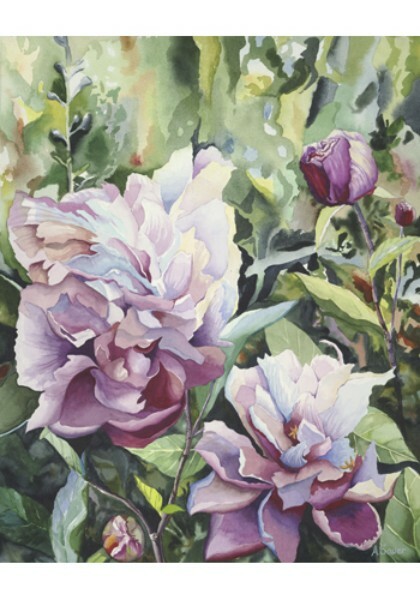 Among these are the Baltimore Watercolor Society, the American Watercolor Society, the Philadelphia Watercolor Society, The Torpedo Factory, Montpelier Cultural Arts Center, the Gaithersburg Art Barn. Most recently, her art work was displayed at the 109th Catharine Lorrilard Wolfe International Show at the National Arts Club. 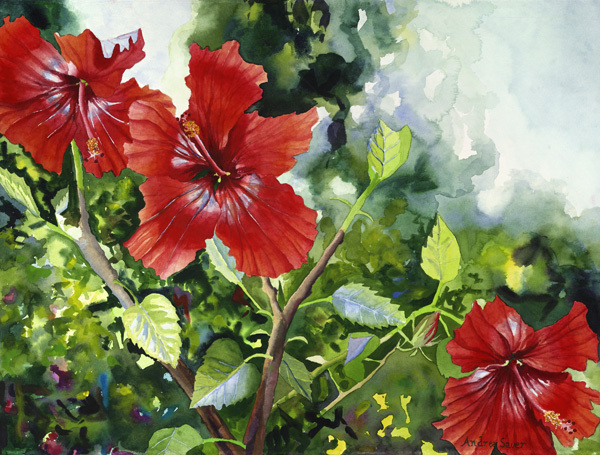 She also was juried into the Georgetown International Arts Show, and the 2005Philadelphia Watercolor Show. She was also selected as one of the top 12 emerging artists in the United States by the Los Angeles County Museum of Art. Her art work will be featured in a calendar called "Emerging Artists 2006." She was also juried into the Art In Embassies Program and has work featured in the Tajikistan Embassy from 2007 until 2010.